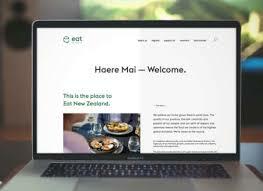 The Eat New Zealand website, launched today, has over two thousand food businesses listed including eating establishments, farmers markets, events, food tourism venues and operators throughout the country. 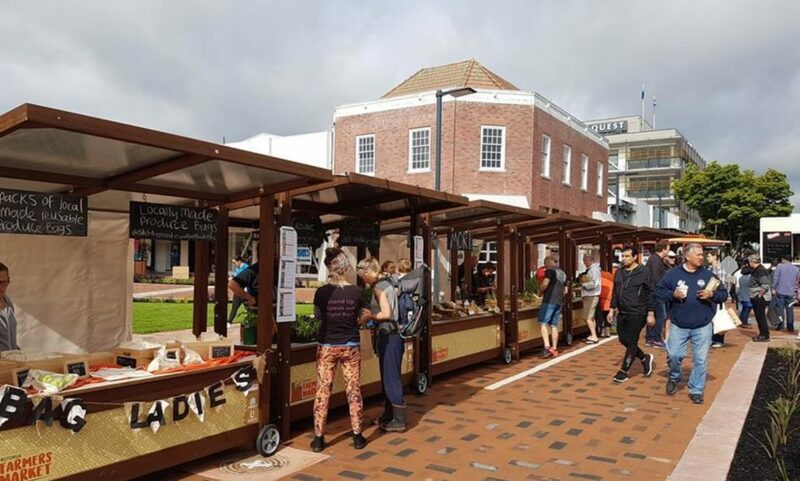 It’s the first time New Zealand’s Farmers Markets have been listed on the same platform and the first time regional food information can be found in the same place. It’s been designed so a food itinerary of the country can be made. Eat New Zealand CEO, Angela Clifford, explains it’s part of the movement’s ultimate goal to put New Zealand cuisine on the world map. “We’ve seen what New Nordic Cuisine can do for Scandinavia’s food and tourism and we believe our country is ripe for this type of gastronationalism. We have incredible ingredients enjoyed around the world, but we’ve not been good at connecting those with people’s experiences when they visit the country. We believe this is a significant step in that direction”. Eat New Zealand’s founder is Giulio Sturla from Roots Restaurant in Lyttelton and he is excited by the collaborative nature that moved things so quickly from its origins as a day of talks in 2015. “We knew the time was right, and my experience of the rise of cuisines in places like South America showed me we had everything we need here to show the world a completely unique offering. What has been achieved in less than three years is amazing, but there’s still so much work to do. It would be wonderful to see our government organisations and New Zealand Tourism get behind this push”. The opportunity was obvious to Eat New Zealand’s strategic partner, The Restaurant Association of New Zealand. “We’ve always been about food, and anything that raises the profile of our members’ businesses and New Zealand food in general is worthy of our support. We’re excited to work with Eat New Zealand on this website and embrace the big vision and long-term goals” says CEO Marisa Bidois. The website was built with the tourism grant from Auckland International Airport Ltd and Mark Frood, International Market Development Manager, says “We’ve always under-done food and beverage in this country. We’ve undersold our manaakitanga or hospitality, and when you combine that with our ingredients in our unique landscape, and a year-round food offering, we have no doubt there is plenty of scope to increase food tourism in this country”. Cuisine Magazine owner and editor Kelli Brett says “Even just having the first conversations about regional food on this website is important. Each regional tourism association and economic agency has been developing their food story, but there’s been no national co-ordination. That alone is hugely exciting”. The Eat New Zealand collective is a not for profit organisation and has had to be creative about finding money, but it has the support of many of the country’s top chefs, media, event and tourism operators. The executive includes CEOs from Wellington Culinary Events Trust and Taste of Auckland and they’ve created fundraising events under their respective umbrellas, but the history of the movement has been the collaborative efforts of restaurants. In this spirit, the new website launch coincides with a collaborative fundraising dinner between Amisfield and Roots Restaurant on Wednesday, April 11th in Christchurch. Some proceeds will go to Eat New Zealand and they are hoping it will provide a template for other restaurants to do the same. Amisfield head chef Vaughan Mabee was recently awarded the Innovation Award at the Cuisine Good Food Awards and the dinner promises to be at the cutting edge of New Zealand cuisine. “We have a saying in the kitchen” smiles Sturla “Push, push, push.” “We know this website and the movement that supports it is the beginning of a new era for New Zealand food. We’re determined to keep pushing to put our food, places and people together on the world map”.